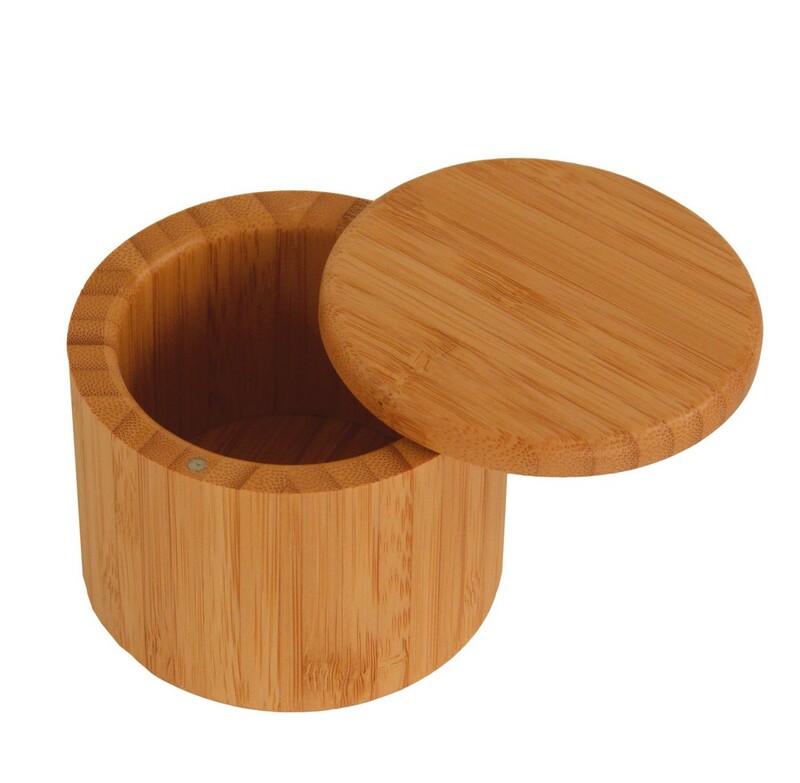 A Round Bamboo Salt Box is a premium kitchen essential to display your logo on. The Round Bamboo Salt Box is a great giveaway that attracts potential business. It features a spacious compartment that can hold herbs, spices, and other seasoning. It has an easy slide-off top and a wide opening for spoons. It also features a small magnet on the base and the lid which ensures a tight seal. The box is made of Moso bamboo that absorbs very little moisture and consequently, does not shrink or swell as much. The pleasing patterns of the box are achieved without the use of artificial dyes or stains and do not fade or wash out. The box can also be used to store paper clips at the office. Hand wash the box with warm water; occasionally use mineral oil to extend its life and to keep it looking as good as new. These salt boxes appeal to the environmentally conscious as the Moso bamboo is not a food source or a habitat for the Giant Panda. Emblazon your company’s logo on the salt box to make the best first impression for your brand.